Vagotomy is a surgical procedure in which one or more branches of the main vagus nerve is cut off and removed. As the branches of the vagus nerve pass stimulus from many sites to the stomach for increased acid production and secretion and ultimately it will lead to stomach ulcers. It is mainly done for the management of peptic ulcer disease PUD when the acid secretion is not controlled by other ways. Along with Vagotomy, the acid secretion is controlled by the H2 receptor blocker or antagonist. And the drugs used for that purpose are cimetidine, ranitidine and famotidine. Along with H2 receptor antagonist, the proto pump inhibitors or antagonists are also used like pantoprazole, omeprazole, rebeprazole and lansoprazole. There are three main types of Vagotomy named truncal Vagotomy, selective Vagotomy, thoracoscopic Vagotomy and highly selective Vagotomy. The Vagotomy is performed via open surgery or via minimal invasive approach. The open surgery is known as laparotomy and the invasive approach to the vagus nerve is known as laparoscopy. The Vagotomy is performed sometimes along with the antrectomy to reduce the chances of occurring again. It is performed in association with gastroduodenostomy and gastrojejunostomy in reconstruction. it is performed under the effect of general anesthesia. When the medications like proton pump inhibitors and H2 receptor antagonists are no more effective against acid secretion. In patients with pyloric stenosis due to peptic ulcer disease. Vagotomy is done in emergency in a condition is which the bleeding occurs in the upper gastro intestinal tract and also used in a condition of peptic ulcer leading to peritonitis. Vagotomy is also performed as complimentary in many operations like esophagectomy. It is used in patients who failed to respond to the first line therapy against H.pylori. The infection in gastro-intestinal tract and excessive bleeding. 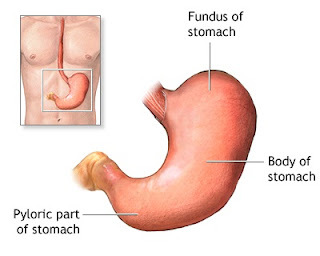 The pattern of emptying of stomach also get changed and lead towards dumping syndrome and diarrhea. Perforation in gastric and esophagus. Which may occur due to the clipping of one of the branch of main nerve named latarjet and also due to electro cautery injury. The gastric emptying time increases due to ulcer. If the drainage system is not performed, then these two vagotomies are performed i.e. selective and truncal Vagotomy. Vagotomy is a beneficial surgery but also have some side effects related to it. The common side effects occurring after Vagotomy are vomiting, dumping syndrome, and diarrhea. Patients may have to suffer from these side effects for a long time after surgery. Patient face some problems in digesting food and sweating may occur along with slow metabolic process of body. The patient have to stick to a proper diet to avoid re occurrence of peptic ulcer disease PUD. If the truncal and selective surgery do not show appropriate results or show many side effects, then highly selective Vagotomy is recommended.